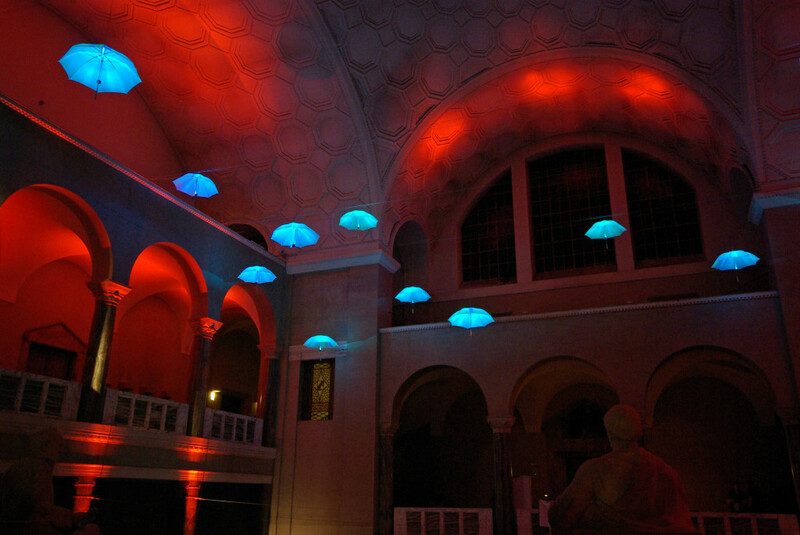 507nanometer created the led umbrellas as a ambient and surprising light source. 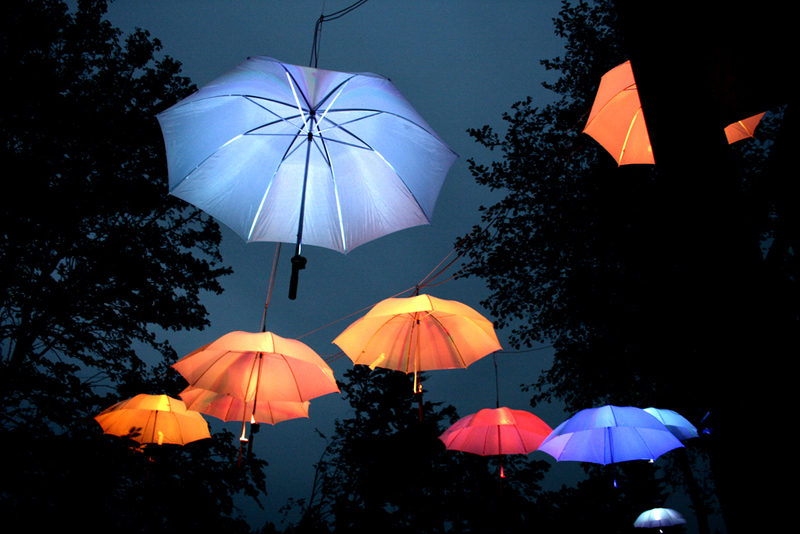 The modified umbrellas act as a reflector for the led light which creates a very smooth light as the lightsource itself isn’t visible. 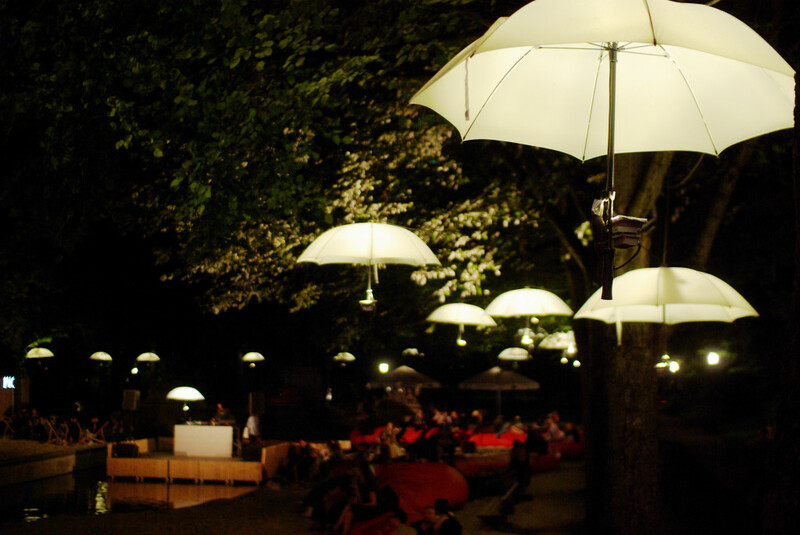 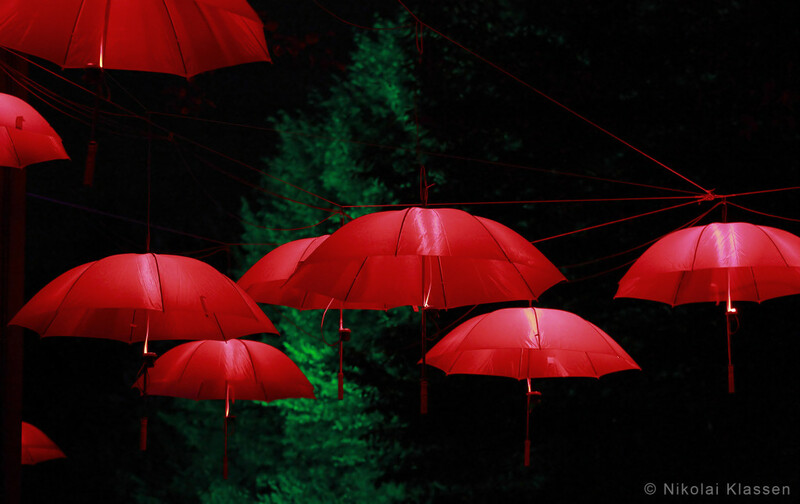 The umbrellas are used in different settings as a alterable light installation.